The best way to reach success in any endeavor is to focus on continuous improvement. If you are always moving in the right direction, then you will inevitably reach your goal. My Goblin Mindset series delves into my framework for gold making in World of Warcraft. When I started playing WoW again for Legion I built most of my TSM setup completely from the ground up. The goal is to get into the core of why gold making works and how you can apply this to any future expansion. We have already set out the overarching goal for gold making. We have also looked at some ways to keep motivation up as well as some unconventional tactics. Continuous improvement is an extremely simple idea. Your goal is to do better than you did yesterday. I have already covered some of my opinions on why continuous improvement is so valuable. If you focus your short and mid term goals on continuously beating yourself, you will get a ton of wins on the way. Small wins tend to give you momentum and lead on to bigger wins, at least in my experience. This is obviously a great way to maintain your focus, and keep making gold. The challenge then is to figure out how to measure whether or not you are improving. This is the only long term measure of success. That being said there are some very important limitations to using liquid gold as your measure of short term success. If you are in the beginning of your gold making journey you will be spending gold as fast as you earn it. The short term variation will be very high until you hit at least 1 million liquid gold. Most likely your variation will remain high until you get to several million. This was very noticeable during my Zero to One Million Gold Challenge. 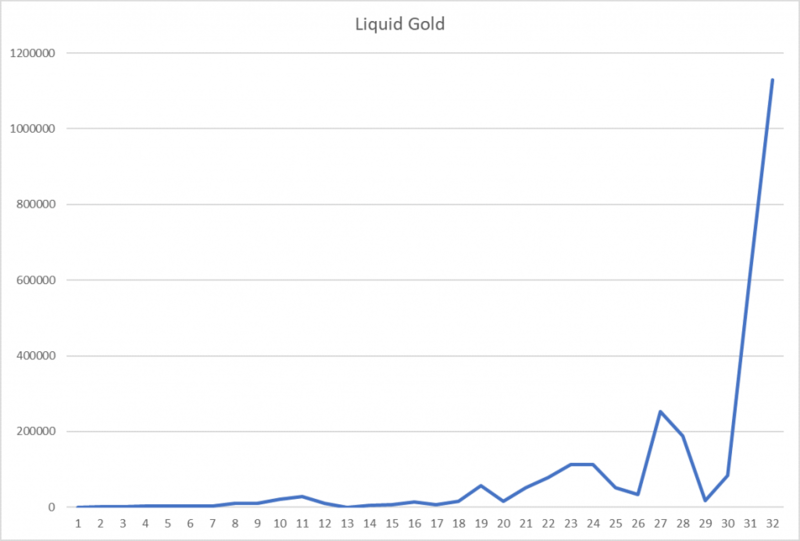 As my liquid gold graph showed at the end, it stayed below 200k for almost the entire challenge, before ballooning up to 1 million over the course of about one week. So for short term measures of success, we will have to use other indicators as well. The biggest advantage of liquid gold is that it is extremely easy to track. TSM even has a handy graph built in. As long as your graph is trending upwards, you are doing fine. Below you can see the graph from my newest realm. The variation is high before sudden spikes up, mostly caused by BoE sales. Tracking your sales can be a great way to measure improvement. At the end of my Zero to One Million challenge we could easily see that my sales had been improving almost every week for the entire challenge. 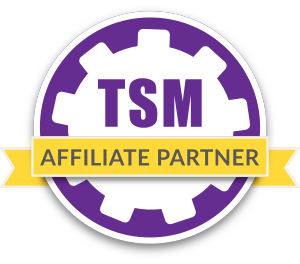 The easiest way to track sales is through the summary page in TSM accounting. You can choose different time periods at the top. This is my summary from the same realm as the gold graph above. As we can see my last 7 days are substantially better than my last 30 days and my all time numbers. One week might be too small of a sample size however. The only issue with this approach is that you can only see your last week. If you want to compare multiple periods you will have to do some manual recording of your sales. We will look at how you can do that at the end of the post. The total value of your posted auctions is another good indicator to show that you are moving in the right direction. 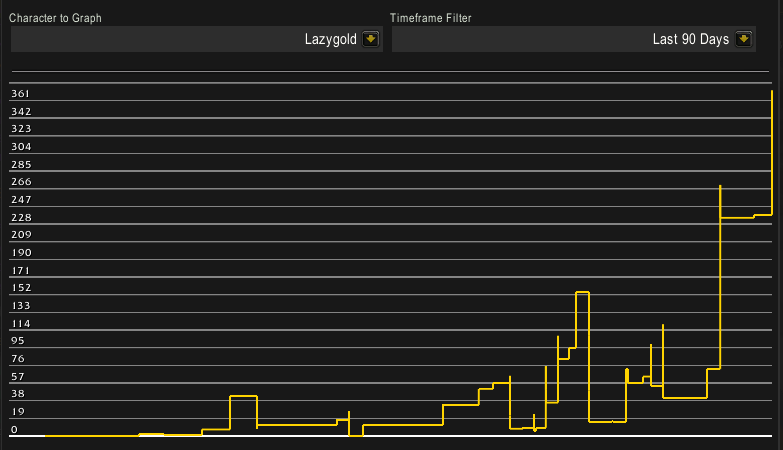 If your gold is fluctuating but your AH value is steadily going up then you will reap the payoff eventually. 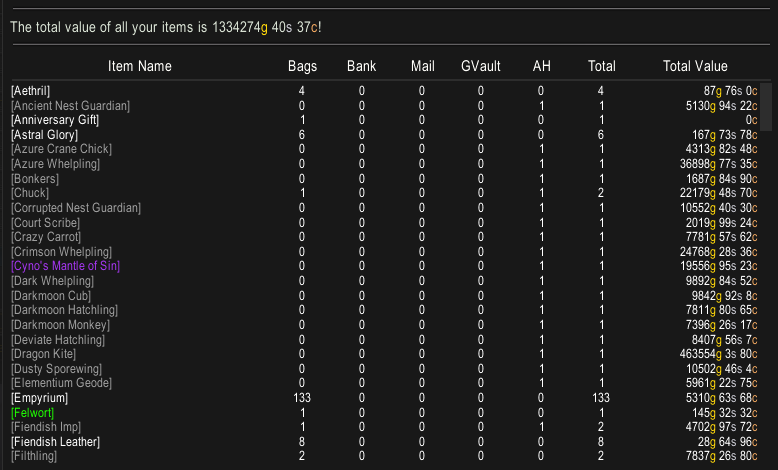 The biggest issue with AH value is that you cannot track it automatically at all. You can easily find your current auction value by just running a post scan with TSM, and the value shows up at the top once it’s finished. To actually track your improvement here you will have to keep records. Inventory value is very similar to AH value. The only difference is of course that inventory value also tracks any stockpiles you are accruing. If you are stocking up for Antorus for example inventory value will be more “correct” than AH value. Inventory value can be found on the front page of TSM. Using inventory value also suffers from the same problem as using AH value, namely the fact that it cannot be tracked automatically. I like to take the 80/20 approach generally. This is based on the Pareto Principle. Simply stated it is the observation that in many cases 80% of the reward is caused by 20% of the effort. Based on this you would start with the simples to implement tracker, just checking your TSM summary regularly to see if your last 14 days/weekly sales are higher than your long term average. In addition, look at your gold graph to make sure it is trending up. If you want to dig deeper a simple spreadsheet approach is the best way to track progress. 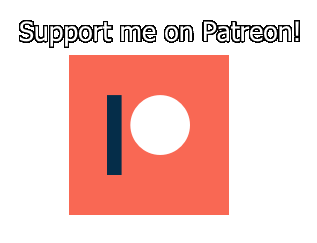 I suggest updating it once a week. For some motivation to keep your records I suggest doing a challenge similar to my Zero to One Million challenge. This will help you build a habit around keeping records and continuously improving. Now that you are tracking your total performance you should use this to make gold making decisions. Did your AH value fall last week? Time to figure out why. Maybe you forgot to restock mounts when you ran out (Happens to me a lot). Maybe someone cleaned out your BoEs and you need to do shopping scans more often. This is what the rest of TSM accounting will help you figure out. We will likely take a deeper look at what you should be looking for next week. so stay tuned for that! I will stress that you should absolutely tailor this to your situation. At the end of the day posting auctions, crafting items and finding deals is what is going to make you gold. This will just help you focus on what is working and what isn’t. If you are looking to reach the next level this can be a very useful tool.